NVIDIA Home > Support Home Page > Knowledgebase Home Page > How do I customize Optimus profiles and settings? NVIDIA Optimus technology is designed to be transparent to the end user and completely automatic. NVIDIA has also engineered Optimus to be fully customizable to suit your specific preferences. This article highlights the various customization settings made available to you within the NVIDIA Control Panel. How can I override the default graphics processor for a program? 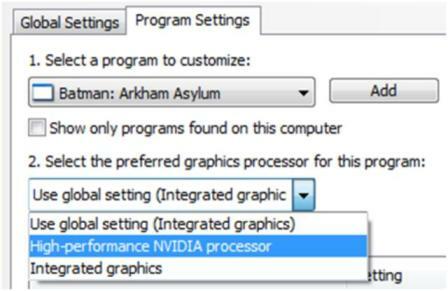 You can activate a setting in the NVIDIA Control Panel that allows you to override the Optimus application profile setting and choose a particular graphics processor to use. 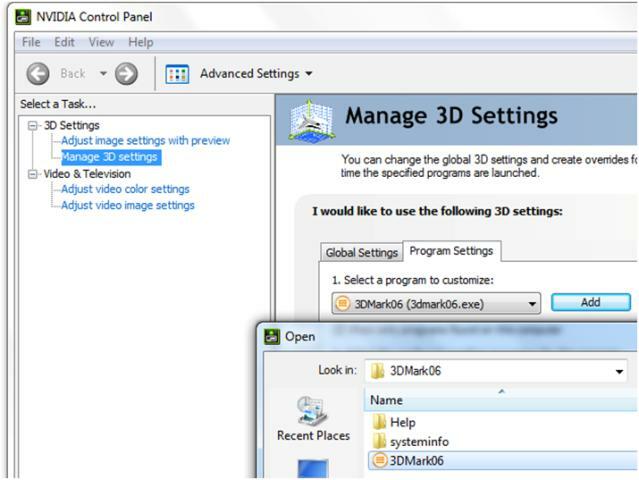 To enable this setting, click "View" from the NVIDIA Control Panel menu bar, then select the highlighted option as indicated in the image below. 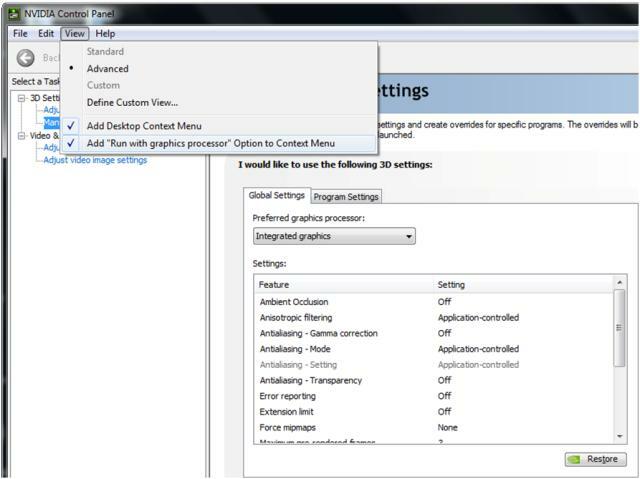 This setting will now allow you to right-click on any executable or shortcut and select the graphics processor to be used when running the application. As outlined in the following image, you simply use the appropriate menu selection to choose the particular graphics processor you want to use for the application. How do I view existing Optimus settings for a specific program? At any point in time, you can confirm which setting Optimus will use with a particular title or application by referencing the Optimus Application Profile list within the NVIDIA Control Panel. 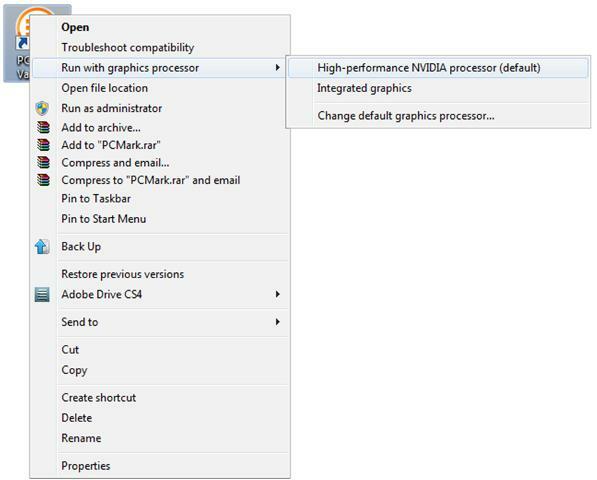 By clicking the "Program Settings" tab as illustrated in the figure below, you can view the preferred graphics processor for an extensive list of applications. How do I create Optimus settings for a new program? 2. 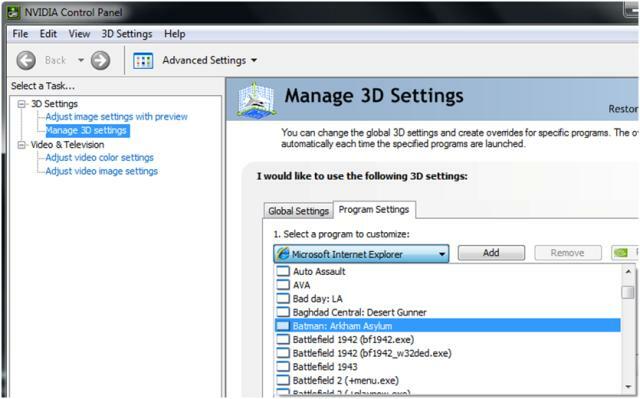 Select "Manage 3D Settings"